Eight years ago, the late K. Subrahmanyam, one of India’s leading strategic thinkers, began one of his many book chapters with a quote from George W. Bush on the U.S.-India nuclear deal at a press briefing in March 2006. “What this agreement says is things change, times change, that leadership can make a difference,” Bush said at the time. 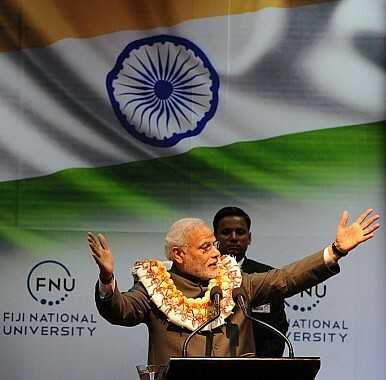 Even if most of us accept Bush’s general premise, few – perhaps even Subrahmanyam himself – could have foreseen the burst of activity and pace of change in Indian foreign policy that Prime Minister Narendra Modi has ushered since his election last year. Modi has now visited over 20 countries in an official capacity, unprecedented for any Indian prime minister in so short a time. Apart from the miles he has clocked, the inroads he has made thus far have also been impressive – from revitalizing India’s ties with smaller states in its immediate neighborhood to engaging the world’s major powers (See: “What’s Next for US-India Defense Ties with Obama’s Trip?”). A land boundary agreement with Bangladesh, an energized U.S.-India relationship, and rescue and post-disaster operations in Yemen and Nepal respectively are just some of the initiatives that have that we have seen thus far. India’s Navy has outlined the some of the specifications for a second indigenous aircraft carrier (IAC-2) in a letter of request to global shipbuilders. According to several Indian newspapers, last week India’s Navy sent out a Letter of Request to four global shipbuilding companies asking for help in designing India’s second indigenous aircraft carrier. 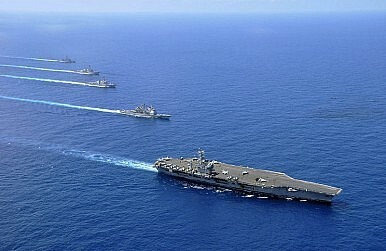 The LoR specifies that India would like to build a 300-meter long aircraft carrier that displaces 65,000 tons. 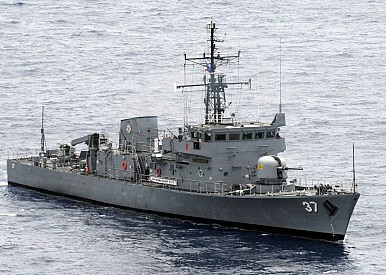 The Navy also said that the ship should be able to travel at 30 knots. In addition, the LoR says that the aircraft carrier will carry 30-35 fixed wing combat aircraft and about 20 rotary wing aircraft. In contrast to India’s existing aircraft carriers, which utilize ski-jump launch systems, the LoR for IAC-2 says the ship will have a catapult launched but arrested landing (CATOBAR) system. 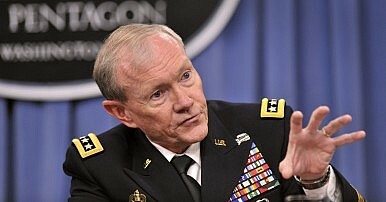 “I think we’re all having an important discussion on how to address the transregional nature of what is clearly a persistent threat that has to be addressed at a sustainable level of effort over a period of time,” Dempsey told reporters. He has emphasized the need for a trans-national and trans-regional strategy to counter the spreading influence of the Islamic State. Dempsey summarized Ghani’s view on the issue: “His view is: ‘Hey, look, I’m a willing partner in an area where you may not have willing partners,’” he told reporters. India should seek to raise the level of its foreign policy ambitions, the country’s top diplomat suggested in an address Friday. Foreign Secretary S. Jaishankar told a forum in New Delhi that given India’s larger and intense footprint under Prime Minister Narendra Modi, it was time for the country to consider a more proactive foreign policy approach. “It is therefore time to ask ourselves whether India should raise the level of our ambitions,” Jaishankar said at the launch of a new book on Modi’s foreign policy at the Observer Research Foundation, an Indian think tank. “Are we content to react to events, or should we be shaping them more, on occasion even driving them? Should we be aim to be a balancing power, or a leading one?” he added. Jaishankar suggested that India should aim for a more proactive foreign policy based on a clear sense of its priorities, an integrated view of regions, and a more vigorous effort directed at confidently pursuing multiple relationships simultaneously and making a global impact. This was in contrast, to a more reactive approach which sought a lower profile and adopted a more siloed approach, often associated with the country’s tradition of non-alignment. The Inter-Services Intelligence commissioned a huge system in 2013 to tap into the main fibre-optic cables entering the country, says a report of Privacy International. 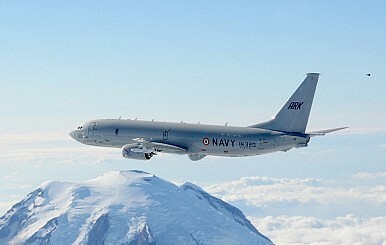 In 2013, Pakistan’s Inter-Services Intelligence commissioned a major surveillance system that taps into three international under-sea cables affecting communications of its citizens and also the neighbouring countries whose communications pass through its borders, according to the findings of a report published by the British NGO, Privacy International. The report accessed never-before released documents that show how the 'Targeted IP Monitoring System and the Common Operations Environment' will help the ISI collect and analyse a “significant portion of the communications travelling within and through the country at a centralised command centre”. The investigation carried out by Privacy International also shows that the mass communication surveillance programme, targeting politicians, media personnel, judiciary and other civil society groups has been in place since 2005. The Taliban Comes to the Table: Could the Afghan War Finally Wind Down? "It appears that the Afghan Taliban as a whole have decided to give the talks a chance—probably due to the nudging, if not pushing, of the Pakistani military." Last week, representatives of the Afghan Taliban and Kabul government met in the Pakistani resort town of Murree in preliminary peace talks described as “breakthrough” by Pakistani officials. While there is ample basis for being cautious about the prospects of a negotiated settlement to the Afghan war, the Pakistan-hosted talks offer reason to be hopeful, particularly after receiving the tacit endorsement of Taliban founder and leader Mullah Muhammad Omar. On Wednesday, a statement attributed to the reclusive Taliban chief, alluding to the talks with Kabul, stated that “meetings and even peaceful interactions with the enemies is not prohibited” in Islam, including in times of war. The purported Mullah Omar statement significantly reduces the ambiguity surrounding the official Afghan Taliban position on the Murree dialogue. However, being merely a written message, it falls short of completely eliminating doubt about Mullah Omar’s views as it fails to provide proof of life. Speculation is growing over whether the Taliban founder, who has not been seen or heard publicly in years, is even alive. In the mid-1930s, Japanese General and Minister of War Sadao Araki said “[i]t is Japan’s mission to be supreme in Asia, the South Seas and eventually the four corners of the world.” Japan’s imperial expansion ended with the country’s official surrender aboard the USS Missouri in Tokyo Bay in 1945. Replacing its Meiji Constitution with a new pacifistic one, Japan embarked on an unprecedented era of democracy, peace, and economic prosperity. 1. 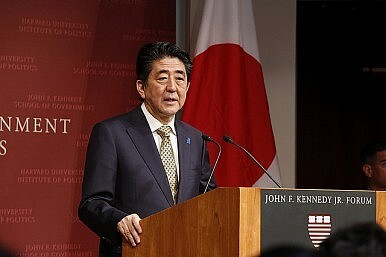 Japan or a close ally is attacked, and the result threatens Japan’s survival and poses a clear danger to its people. A former aide to Chinese President Hu Jintao has been officially expelled from the Communist Party,Xinhua reported on Monday. 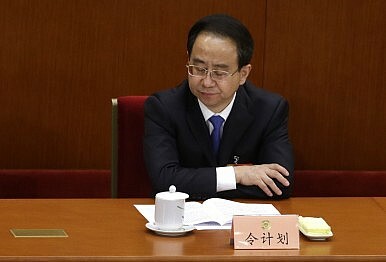 Ling Jihua, who served as head of the Central Committee’s General Office during Hu’s tenure, was announced to be under an internal Party graft investigation last December. Now his case will be turned over to the courts for prosecution. That announcement followed two years of rumors that Ling was in the Party’s cross-hairs. In March 2012, Ling’s son was killed in a car crash, the lurid details of which (Ling was driving a Ferrari whose passengers included two half-naked women) served to embarrass the Party as it prepared for its delicate, once-in-a-decade leadership transition. 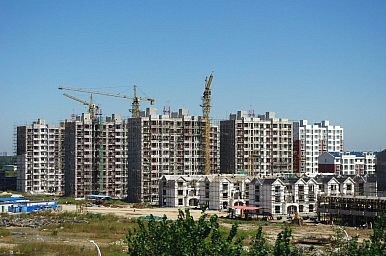 In addition to that incident, which led to Ling being suspected of corruption, the Chinese rumor mill has since linked Ling with former high-ranking officials Bo Xilai, Xu Caihou, and Zhou Yongkang aspart of a plot to at best undermine – and at worst overthrow – current President Xi Jinping. After more than 15 years, the Philippines has finallydecided to repair its ragtag outpost on the Second Thomas Shoal, located about 100 nautical miles away from the Philippines’ westernmost province of Palawan. The Sierra Madre ship – a 100-meter-long tank landing vessel, operated by the U.S. Navy back in the Second World War – has served as a tenuous expression of Manila’s sovereignty claim over the contested feature in the South China Sea. WASHINGTON — The Islamic State’s reclusive leader has empowered his inner circle of deputies as well as regional commanders in Syria and Iraq with wide-ranging authority, a plan to ensure that if he or other top figures are killed, the organization will quickly adapt and continue fighting, American and Iraqi intelligence officials say. The officials say the leader, Abu Bakr al-Baghdadi, delegates authority to his cabinet, or shura council, which includes ministers of war, finance, religious affairs and others. The Islamic State’s leadership under Mr. Baghdadi has drawn mainly from two pools: veterans of Al Qaeda in Iraq who survived the insurgency against American forces with battle-tested militant skills, and former Baathist officers under Saddam Hussein with expertise in organization, intelligence and internal security. It is the merger of these two skill sets that has made the organization such a potent force, the officials say. But equally important to the group’s flexibility has been the power given to Islamic State military commanders, who receive general operating guidelines but have significant autonomy to run their own operations in Iraq and Syria, according to American and Kurdish officials. This means that fighters have limited information about the inner workings of the Islamic State to give up if captured, and that local commanders can be killed and replaced without disrupting the wider organization. Within this hierarchy, Iraqis still hold the top positions, while Tunisians and Saudis hold many religious posts. BEIRUT (Reuters) - Islamic State militants raided Internet cafes in their Syrian stronghold city of Raqqa after ordering a ban on wireless networks that can be used by private homes, the Syrian Observatory for Human Rights monitoring group said on Monday. In order to implement a news blackout of the group’s activities, Islamic State had given cafe owners four days from Sunday to disconnect wireless Internet networks used by residents, the Observatory said, citing an IS leaflet circulated in Raqqa. The United States said earlier this month it had intensified an aerial campaign against Islamic State in Syria with a wave of strikes in and around Raqqa, de facto capital of the militants’ self-declared caliphate in parts of Syria and Iraq. Citing a network of sources on the ground, the Britain-based Observatory said Islamic State members had already started an Internet crackdown that included shutting down networks that could be used by its own fighters at home. An elite Army unit based at Fort Meade is sending battle-hardened soldiers to Iraq to get a close look at the Islamic State in Iraq and Syria so they can develop ways to fight America’s newest adversary. Lt. Col. Justin Sapp, a commander in the Asymmetric Warfare Group, describes ISIS militaries as a new kind of challenge: a force of fighters informed by a decade of war in Iraq and beyond, with legions of recruits, high-end weaponry and stable funding sources, that has proved adept at changing its strategy and tactics as it draws more attention from the United States and its allies. The Asymmetric Warfare Group stationed at Fort Meade is tasked with studying ISIS and its tactics. Thirteen months have passed since the city of Mosul and one-third of Iraq fell to the Islamic State of Iraq and the Levant (ISIL). The U.S.-led coalition, however, still has no comprehensive strategy for dealing with the grave threat ISIL continues to represent. While the Iraqi military is back on the offensive following the fall of Ramadi in May, it is clear that without resolving the conflict between the Assad regime and various rebel groups within Syria, ISIL will retain the strategic depth that prevents its defeat in Iraq. Multiple rounds of attempted UN-backed peace talks have failed, but the regional environment may now be more conducive to shaping a peace effort in Syria. 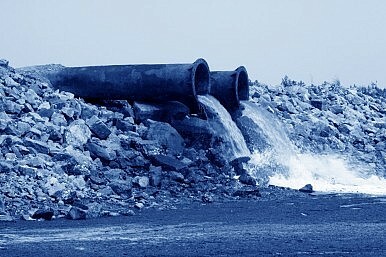 Regionally, two important developments could catalyze a breakthrough. African Union troops said Sunday they had launched a new offensive against Al-Qaeda-affilated Shebab rebels in southern Somalia, vowing to flush the insurgents out of rural areas. The African Union Mission in Somalia, or AMISOM, said “Operation Jubba Corridor” was launched on Friday in the Bay and Gedo regions south of the capital Mogadishu along with Somali government troops. “The operation will ensure that all the remaining areas in Somalia will be liberated and peace restored,” AMISOM said in a statement. The offensive was launched days after Kenyan government reports that a US drone strike in the region killed at least 30 Shebab rebels, among them several commanders. It also comes several weeks after last month’s Shebab assault on a AMISOM base which left dozens of Burundian soldier dead in one of the single deadliest incidents since AMISOM soldiers arrived in Somalia eight years ago. The best approach to Iran in the wake of President Obama’s deal is to recognize the complex nature of the problem, and the absolute need for a well-considered and comprehensive approach. The agreement cannot and should not be simply repudiated on the next president’s first day in office, as some Republican presidential contenders have suggested. The agreement is terrible, but once concluded, the national interest requires that it be undone only with care, patience, and masterful diplomacy—an approach championed by Gov. Jeb Bush and Senator Lindsey Graham. Indeed, to suggest otherwise, is to fail to appreciate the full extent of the damage done by the deal and the difficult foreign-policy legacy President Obama is leaving for his successor. First and foremost, simply abrogating the deal—which already has been enshrined in a Chapter VII UN Security Council Resolution binding on the United States and all members of the United Nations—would actually put the United States in violation of its international obligations and will hand tremendous strategic benefits to Tehran. This may be inevitable, since Russia and China will certainly take advantage of any American action against Iran to score diplomatic and strategic points against us. But, we do not have to make it easy for them, and we should not. "Even as the organization expands its regional influence, at home there is an increasing sense of anxiety among Hezbollah’s constituents." The nuclear agreement with Iran may represent a dramatic shift in geopolitics in favor of the Shiite theocracy, but for Lebanese Shiites, domestic concerns prevail. Lebanon’s 1.6 million Shiites are worried about the Islamic State and Jebhat al Nusra. And for good reason. Over the past four years, the Iranian-backed Lebanese Shiite militia Hezbollah has been fighting in Syria, helping the Assad regime kill nearly 300,000 mostly Sunni Muslims. In response, these Sunni jihadis are targeting Shiites in Lebanon. Yet according to recent polling conducted by the Lebanese NGO Hayya Bina, 80 percent of Lebanese Shiites believe Hezbollah’s deployment in Syria is making the community safer. Indeed, the “Party of God’s” mission in Syria is regarded as so critical that 47 percent of Lebanese Shiites now believe that “liberating” Israeli occupied Shebaa Farms should no longer be the militia’s priority. There’s a bit of a lull in the news from Europe, but the underlying situation is as terrible as ever. Greece is experiencing a slump worse than the Great Depression, and nothing happening now offers hope of recovery. Spain has been hailed as a success story, because its economy is finally growing — but it still has 22 percent unemployment. And there is an arc of stagnationacross the continent’s top: Finland is experiencing a depression comparable to that in southern Europe, and Denmark and the Netherlands are also doing very badly. To someone who didn’t know much economics, or chose to ignore awkward questions, establishing a unified European currency sounded like a great idea. It would make doing business across national borders easier, while serving as a powerful symbol of unity. Who could have foreseen the huge problems the euro would eventually cause? 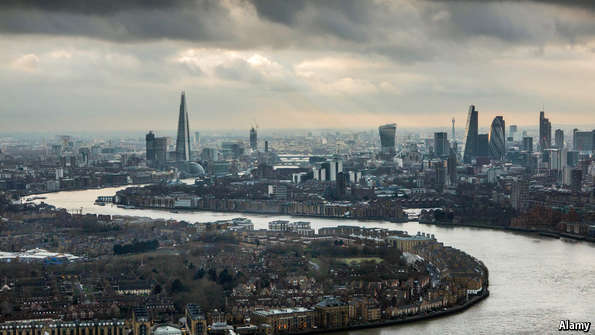 UPON joining a panel mulling new regulations for London’s financial industry in 2010, Martin Taylor was confronted with “an operatic chorus” of bankers threatening to move elsewhere if oversight became too strict. Moneymen from all sorts of firms told the former boss of Barclays, a big British bank, that they were on the verge of decamping to Switzerland, apparently a paradise of low taxes and sympathetic regulators, safely beyond the reach of the European Union’s banker-bashing. “The City”, for centuries a mainstay of the British economy, risked losing its status as the centre of global finance, and with it hundreds of thousands of jobs. It wasn’t until Mr Taylor learned that the financiers of Zurich and Geneva were simultaneously threatening to relocate to London that his concerns eased somewhat. GOLOVINKA, Russia — The southern Russian steppe in summertime typically offers a soul-lifting panorama of wheat fields and sunflowers, swaying in the breezes, and vast empty spaces. It is Russia’s big sky country, rural and calm. The panicked soldiers were not under attack, as it turns out, but were fleeing a fire in a well-stocked ammunition depot at a nearby Russian military base, recalled a local dairy farmer who, worried about harassment, offered only his first name, Anatoli. By that point, he said, artillery shells had begun whistling away from the base and into the fields. The Daily Beast obtained an email notice that the Defense Department sent Friday warning “at least five” DOD computer users have been targeted in the latest campaign. The notice linked these attacks to penetrations of unclassified networks at the White House and State Department that began last year and were reported in April. The notice doesn’t specify whether any information has been stolen, nor does it indicate which agencies the targeted victims work in. The sheer outrageousness of some of Donald Trump's public utterances invites condemnation that is so justifiably quick and unqualified that it leads us to overlook respects in which what Trump says or stands for reflects larger patterns that many Americans do not condemn and may even support. There is a reason that Trump moved to the top of the polls of Republican primary voters, and the reason isn't his hair. Dana Milbank of the Washington Post addressed this phenomenon the other day in a column in which he noted how, when Trump briefly ran for the presidential nomination of the Reform Party in 2000, he distinguished himself from Pat Buchanan by taking relatively progressive positions on immigration and social issues. That's quite a contrast with how Trump, now running for the Republican nomination, has called Mexicans a bunch of rapists. Milbank's persuasive explanation is that what we have heard each time is much less any sincere convictions of Trump but instead the kind of red meat that he has calculated will most excite the constituency to which he happens to be appealing. Trump's most recent outrageous comment—his disparaging of John McCain's military service—leads naturally and appropriately to comparing what those two individuals were doing as young men during the years in question. Michael Miller and Fred Barbash do a good job in the Post of relating how, while McCain was stoically enduring suffering in captivity in North Vietnam and heroically resisting his captors' demands for a “confession” in return for his release, Trump was enjoying a life of privilege, partying, and pecuniary pursuits. Student deferments and the luck of a high draft lottery number kept Trump out of the military. NATO needs to pay attention to territorial defense and its own military capabilities. But deploying more U.S. nuclear weapons in Europe is not a good response. Russia’s actions in Ukraine, its military modernization program, and its more bellicose stance toward the West in general have raised concerns in NATO. The alliance needs to pay attention to territorial defense and its own military capabilities. But deploying more U.S. nuclear weapons in Europe is not a good response. Relations between Moscow and the West have crashed to a post-Cold War low over the past two years. Russia’s military seizure of Crimea violated the cardinal rule of the European security order dating back to the 1975 Helsinki Final Act: states should not use force to change borders. Since then, the Kremlin has supported armed separatists in eastern Ukraine, where it has provided heavy weapons, leadership and Russian soldiers—despite agreements calling for withdrawal of all foreign forces. "All of this regional displeasure with the deal and with Iran’s broader role in the region will require tough and active management by the United States." That the final Iran nuclear deal was met with opposition in Israel and Saudi Arabia is no surprise. As we argued over a year ago, neither neighbor was likely to welcome a deal with Iran, even if the official Saudi response has been more muted. Israeli prime minister Benjamin Netanyahu again declared the deal a “historic mistake,” while the Saudis have left more strident rejection of the deal to former officials like Prince Bandar, who said it’s worse than the agreement with North Korea. Learning more details about the final agreement is not likely to change views, because for these regional states, the threat of Iran has always been about much more than the nuclear issue. For all the talk about whether or not this is a good deal, negotiating with Iran was the original sin from the perspective of Iran’s neighbors, legitimizing the Islamic Republic and its nefarious activities in the region. Since leaving government, I’ve seen the change become more acute, accentuated by ritualism and entrenched positions in Northeast Asia. China and Japan are in a kind of stalemate in the East China Sea, while China and Taiwan are, for now, both vested in preserving the status quo across the Taiwan Strait. Relations between North and South Korea remain frozen in time, and, 50 years after normalization, Japan-South Korea relations show no signs of sustainable improvement. Northeast Asia is a garden that needs continuous tending. It remains crucial to the global economy and U.S. interests, and a conflict there could be civilization-ending. But policymakers on all sides have been largely boxed in by the strategic choices of their predecessors. The lines of competition are clear and heavily militarized, and the stakes unmistakably high. Today, the Russian military showcased its killer robot, codenamed Platform-M, in Sevastopol, Ukraine according to RT. In the video, the remotely controlled Platform-M combat robot is armed with a Kalashnikov assault rifle and four grenade launchers. 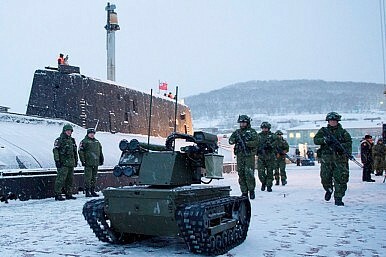 RBTH reported that an unknown number of robots for the first time participated in a military exercise of the Baltic Fleet alongside Russian ground forces in June 2014 near Kaliningrad where the “the military robots were assigned to eliminate provisional illegal armed formations in urban conditions and striking stationary and mobile targets,” according to the press office of Russia’s Western military district. The Platform-M combat robot is equipped with “a differentiated defensive chassis and a firing platform and can carry out combative tasks during the night without unmasking instruments,” the Russian military told RBTH. America has been abuzz about the new revelations aboutOPM’s incredible loss of personal data — it’s being called a “hack,” the “biggest cyberattack in U.S. history.” Though the number of personnel compromised is said to reach 21.5 million, that total will increase exponentially due to the information about friends, family, and associates contained in each of those investigations. It is an incredible defeat for America. Yet despite calls for retaliation and questions about whether this is a new high-water mark in “cyberwar,” the “OPM Hack” seems to have not been a real hack — let alone a cyberattack. Rather, the OPM “heist” was completely the fault of a blundering, incompetent bureaucracy that quite literally handed the secrets of our security-cleared citizens to a strategic adversary. We can hardly blame the Chinese for gratefully receiving such an intelligence treasure trove. Secret-spilling organization WikiLeaks has published new evidence of what the group says shows the extent of the National Security Agency’s longstanding surveillance of top German officials. The latest release from the anti-secrecy group, published Monday on its website, includes a list of 20 targets, all pertaining to German politicians, who had been supposedly singled out by the NSA for the purpose of gathering intelligence on behalf of the U.S. government. Among the targets of the NSA’s surveillance apparatus, WikiLeaks said, were the cellphone of then-Foreign Minister Frank-Walter Steinmeier and phone numbers registered to other top officials. “The list indicates that NSA spying on the Foreign Ministry extends back to the pre-9/11 era, including numbers for offices in Bonn and targeting Joschka Fischer, Vice Chancellor and Foreign Minister from 1998 to 2005,” WikiLeakssaid. Recently, I had the good fortune to attend a number of conferences related to the upcoming British Strategic Defence and Security Review (SDSR). The publication of the latest SDSR this fall will mark the first time a defense review has been conducted on a five-year timetable, hopefully allowing the United Kingdom to re-appraise its strategic situation more rapidly than the previous, more ad hoc nature of reviews. As a result, even though it feels as though the dust has barely settled on the 2010 SDSR, the debate about the future of British defense among military, business, and academic circles has been reinvigorated. In only the past two weeks, the University of Bath and the Royal United Services Institute (RUSI) hosted a workshop on the future of the British Army, the Army itself held a joint brainstorming session on future logistics as part of Exercise Agile Warrior, and the former heads of the three British services outlined their views on the forthcoming SDSR at the Global Strategy Forum. But to my mind at least, for all the “horizon scanning” at these events, there was relatively little analysis of internal adaptions that could be made to better position British defense for the future.